Can a debt collector call my family? Both federal and state laws prohibit debt collectors from certain types of communications with third parties. For our purposes, a third party is anyone who isn’t either you or the debt collector—including friends, family, coworkers, and neighbors. Under federal law, the Fair Debt Collection Practices Act (FDCPA) states that, unless you agree otherwise, a debt collector may only communicate with: you, your attorney, credit reporting agencies, the original creditor, the attorney for the original creditor, and the attorney for the debt collector. Communications with all other third parties are prohibited, with one exception. Debt collectors may contact other third parties “for the purpose of acquiring location information” about you. The debt collector must state that they are calling to confirm or correct location information about you. They cannot identify themselves as a debt collector, and cannot state the name of their employer unless specifically requested by the third party. The debt collector cannot state that they are calling about a debt, and cannot state that you owe a debt. The debt collector cannot contact the same third party more than once, unless the third party requests further communications, or the debt collector reasonably believes that the third party gave them inaccurate location information and that they now have accurate information. If communication with third parties is by mail, the debt collector cannot: use any language or symbol (on the envelope or its contents) that suggests the message is from a debt collector or has any connection with the collection of debt, or communicate by postcard. Additionally, once a debt collector knows that you are represented by an attorney, then the debt collector cannot communicate with any person other than your attorney. Violations of any of these rules constitute a violation of the Fair Debt Collection Practices Act and entitle you to actual damages, statutory damages of up to $1,000, and attorney’s fees. 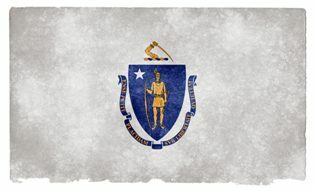 In Massachusetts, the Attorney General and the Division of Banks have each issued debt collection regulations that primarily correspond with the FDCPA. Violations of any of these regulations also constitute a violation of the Massachusetts Consumer Protection Act. Most cases for violations of the Fair Debt Collection Practices Act or the Massachusetts Consumer Protection Act can be handled for no out-of-pocket cost to you, as the laws require the debt collectors to pay your attorney’s fee. Therefore, if a debt collector has improperly contacted third parties in an effort to collect from you, then please contact Brine Consumer Law today for a free consultation.